If you are interested in Chinese culture and literature, then you can’t afford to ignore exploring Chinese poetry. Chinese poems often get skipped over when learning Chinese as a second language because there are so many other more imminent, practical things you have to learn! But don’t get me wrong, there is rich wisdom and beauty in Chinese poetry. Poetry is held in high regard in Chinese literature and can be dated back to as early as the 1st millennium BC. The height of Chinese poetry is said to be during the Tang dynasty, when scholars even had to study poems to the pass the imperial exam! In fact, the Tang dynasty is still known as the golden age of Chinese poetry. A large record of great poems and poets were born during this period. Li Bai, Du fu and Wang Wei are the three of the most influential Chinese poets. Most Chinese people are familiar with these 3 poets from school. Let’s spend some time now to get to know these poets and explore some of their masterpieces. 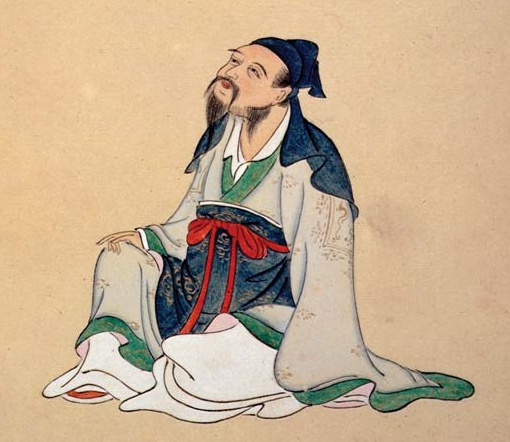 李白 is one of the most famous poets of the Tang Dynasty. He was born in 701 in Jiangyou, Sichuan. He was a friend with the another great poet, Du fu, who also lived in Sichuan. Li bai is said to have died in 770 in a relative’s house. However, rumor has it that he drowned because he was drunk and trying to catch the moon’s reflection on the lake. 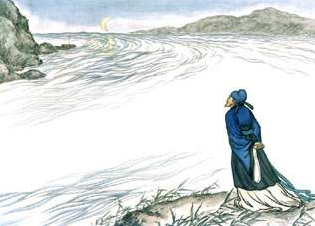 Li Bai’s poems reflect a romantic and peaceful view of life. He is also very famous for being a drunkard poet. Most of his poems explore themes of friendship, nature, passing time, longing, and wine drinking. Li Bai is also known as “Immortal Poet”, or “Shixian” (诗仙) in Chinese. I saw the bright moonlight coming through the window in front of my bed. I suppose it is frost on the ground. I raise my head to look at the beautiful scenery of the bright moon. However, then I could only lower my head because it reminds me of how much I miss my hometown. This is the most famous poem among Li Bai’s creation. 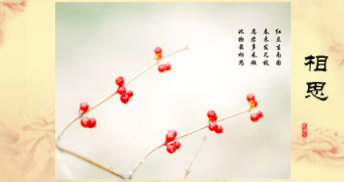 Almost every native Chinese people know about this poem as they have to learn and memorize it in school. You can see how Li Bai perfectly capture the loneliness and homesickness on a full moon night with just four simple sentences. Being drunk, I do not notice it is becoming dark outside. The falling flowers fill the folds of my clothes. I try to reach out to the moon in the stream while still being drunk. There are only a few people nearby and birds are also far off in the sky. This poem is one of Li Bai’s most famous drunkard poems. As a matter of fact, famous ancient poets created their great poems when they were demoted and sent away far from their hometown. This poem is one of them. Li Bai wrote this poem during his demotion. While he was drunk, his strongly felt helpless about his demotion. 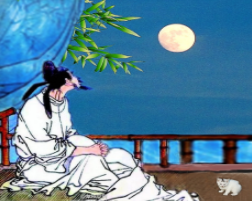 It also portrays Li Bai’s deep feelings of loneliness since there’re only wine, flower, bird and moon as company. 杜甫 is another famous poet of the Tang Dynasty. He was born in Gongxian, Henan province in 712 and died on a riverboat between Danzhou (Changsha) and Yueyang in Hunan province in 770. 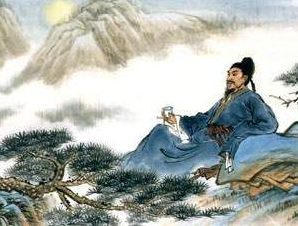 Du Fu is also considered a famous drunkard poet (like his good friend, Li Bai). Du Fu and Li Bai are both influential that their names are combined and well-known as “Li-Du” (李杜). Du Fu’s lifelong dream was to serve as a great civil servant for his country. However, this dream was never fully accomplished due to his personality and multiple exam failures. The last 15 years of his life were full of difficulties and hardship because of An LuShan’s rebellion that left constantly on the move. In spite of all this, he accomplished a great deal and was called the “poet-sage”, or “Saint of the Poem” by the critics. Chinese people liken his creations to those of William Shakespeare. The nation is broken (because of An Lushan rebellion), the mountains and rivers remain the same though. During this springtime, the grass and the trees in the city grow thick and green. However, flowers might shred tear of sorrow during this unstable time. Birds are also startled and afraid because they have to part from their mates. The beacon fire has burnt for 3 months in a row. A letter from family is as valuable as ten-thousand pieces of gold. I scratched my head so much that my grey hairs become thin. Now it can’t even hold a hairpin. This is a poem that shows an old man’s sorrow for his unstable country because of the An Lushan’s rebellion. 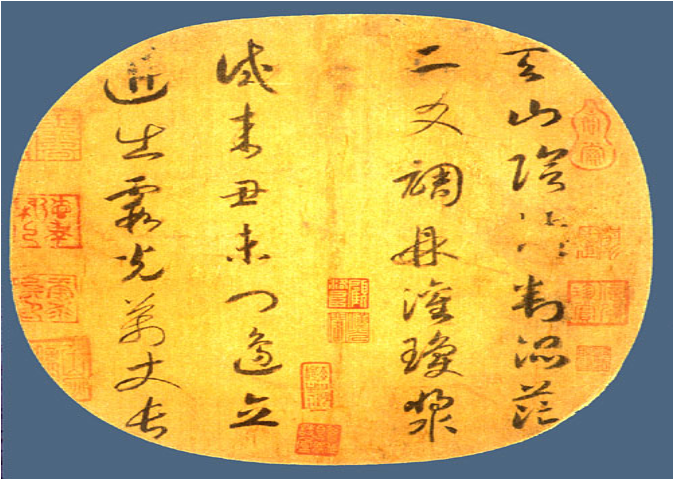 Dufu wrote this poem while he was being held captive by the rebels in Chang-an. A good rain knows the season (when to rain). When spring arrives, it brings life to nature.The rain follows the wind secretly into the night. It moistens all things with its touch. Yet, it makes no sound. The clouds over the country roads are all black. I can see a lonely brightness from the boat on the river. When it is dawn, random red splashes can be seen on the wet boat. The flowers from the Chengdu city are weighed down by the rain (brocade city = Chengdu city). This poem is about the poet’s feeling for the rain and how he welcomes it. Du Fu wrote a lot of poems while he was staying in Chengdu city. 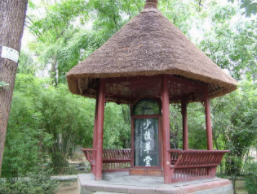 The Du Fu cottage where he wrote most of his poems can still be visited in the west gate of Chengdu city. 王维 was born in Qi county of the Shanxi province in 701. He died in Chang-an, Shaanxi province in 761. 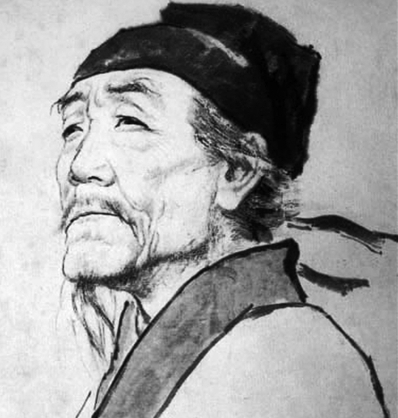 Wang Wei was one of the third of the three most admired poets of the Tang dynasty. Just like successful Li Bai and Du Fu, Wang Wei has his well-known title “The Buddhist of Poem” (诗佛). 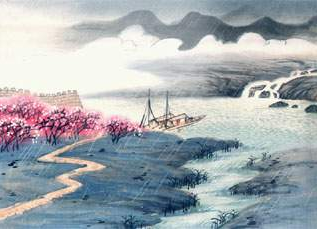 Wang Wei was known not only for poems but also his paintings. Most of his works are famous for his detailed attention to natural landscapes. On the contrary of Du Fu, Wan Wei succeeded in becoming a government official. 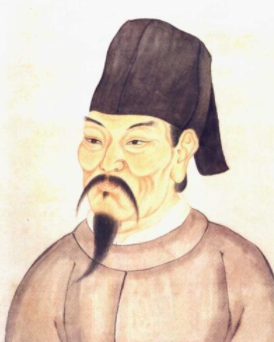 Wang Wei started off as the Deputy master of music and slowly became Chancellor of the Tang court. He was wealthy and also known for his generosity. During the rebellion, he avoided serving the insurgents by pretending to be deaf. However, he was eventually forced tand given a brief punishment when the country was restored. These red beans grow only in the southern part of the country. They flourish and branch out when the spring comes. I hope you will pick and collect more red beans. For they are what one yearns for most. This poem describes the red beans that grow in the southern part of China. The poet portrayed the red beans as something everyone will like and yearn for in the poem. Also, in Chinese culture, red beans symbolize “missing someone” and thus has a another name as “yearning beans” (相思豆, Xiāngsī dòu). There are light cloud and drizzle of the rain around the pavilion. The courtyard is dark during the daytime and I’m too lazy to open the gate. I sit down and watch the deep green colour of the moss ready for the people to come and pick up their clothes. This poem is another poem about the poet’s feeling on one dark, drizzling day. As you can see, Chinese literature are really amazing, especially the poems. Each Chinese character in the poem carries the meaning beyond their own. These poem can describe the poet’s feelings and nature with just a few words. Chinese poems play a great role in Chinese history and Chinese literature. 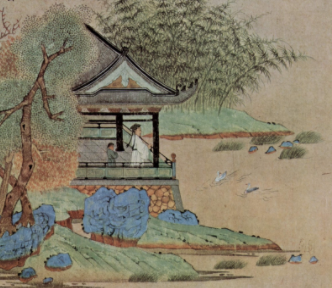 The Tang Dynasty was the golden age of Chinese poem when Chinese poems prospered the most. Li Bai, Du Fu and Wang Wei are the three most admirable poet of their times. Their poems are studied at Chinese school like how Westerners studied Shakespeare’s works. Thus, it is always good to know some of the most famous poems. Sam works as CMO of TutorMandarin – an online Chinese tutor service that focuses on teaching students how to learn Chinese using an innovative learn Chinese app and PC Software. Sam has lived in Beijing, Suzhou, Taipei, and even Boston!